Aa Te Kevi Dunniya is a 2015 Indian Gujarati drama film released on Jan 09, 2015. The film is directed by Sugandha Garg, produced by Vijay Khatri.Aa Te Kevi Dunniya is an love drama film. Check out this page for more updates on Aa Te Kevi Dunniya. A brave attempt by writer-director Tejas Padiaa, Aa Te kevi Dunniya passes the acid test and scores a brownie point too. 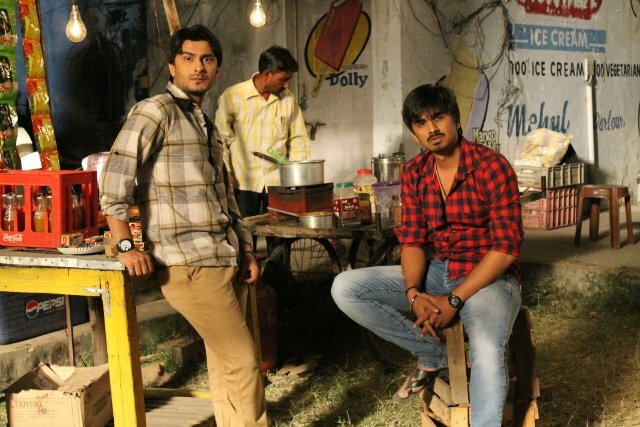 First, it is indeed a contemporary Gujarati movie made wit.. This page provides latest and updated information about Aa Te Kevi Dunniya (2015) movie which released on Jan 09, 2015. Aa Te Kevi Dunniya (2015) is directed by , produced by , starring .We have also provided 8 trailers and videos, 15 photos, 0 user reviews, and 1 critic reviews.The movie has received 3.5 rating from critic reviews. The overall rating of Aa Te Kevi Dunniya (2015) is 70 and movie is 3.5.You can review, like, dislike this movie and also can add to favorites. You can also find information on showtimes, CDs, DVDs, online rental, online free watching.